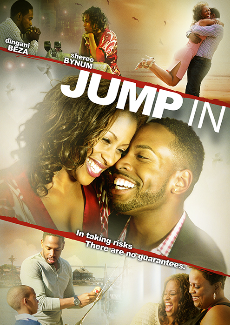 Cast: Sheree Bynum, Karen Malina White, Michael Higgenbottom, Kevin Craig West, Dingani Beza. Synopsis: Troy Alexander returns to her roots, armed with a plan, to pass the bar and start her own practice. Although, her love of the law takes a back seat to her young son, Jordan, it provides an escape from realities. Troy is convinced she doesn’t need love. She’s content and love is a distraction, until her friends, Tarin and Camryn stumble upon Malik Bond, a middle school math teacher. Her friends plan a meeting and all doesn’t go according to plan. Troy realizes that what Malik lacks in his wallet, he makes up for it in other areas. Sparks fly and life seems perfect… Then circumstances bring her well-thought plans to a halt. Her life flashes before her eyes, just as love lands at her door. Astounding revelations affecting the family in different ways, when the unthinkable happens. (Source: Maverick Entertainment).